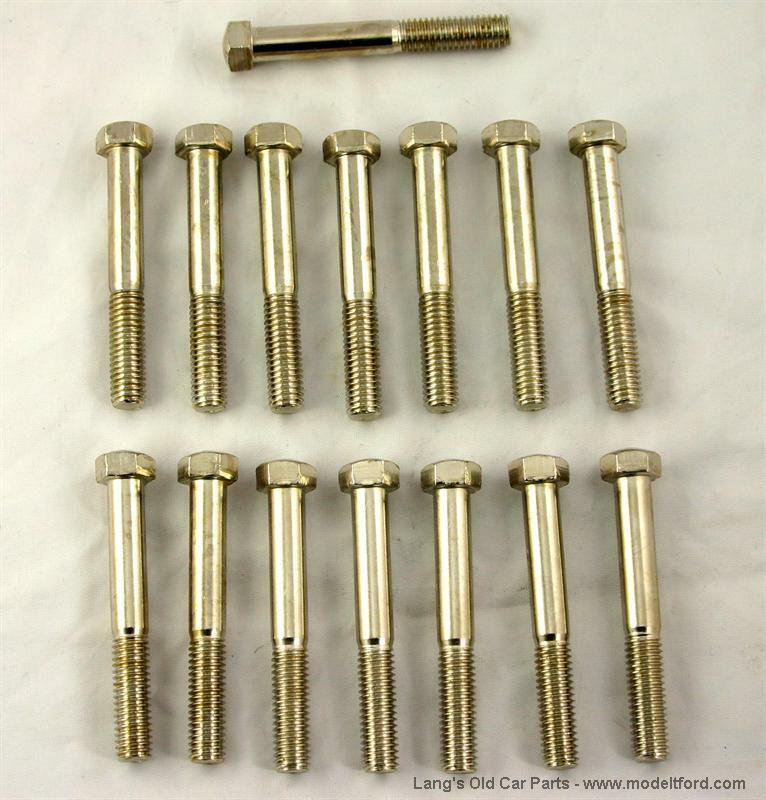 Nickel plated cylinder head bolt set. Heat treated bolts, 3-1/4" from under the head to the end of the bolt. 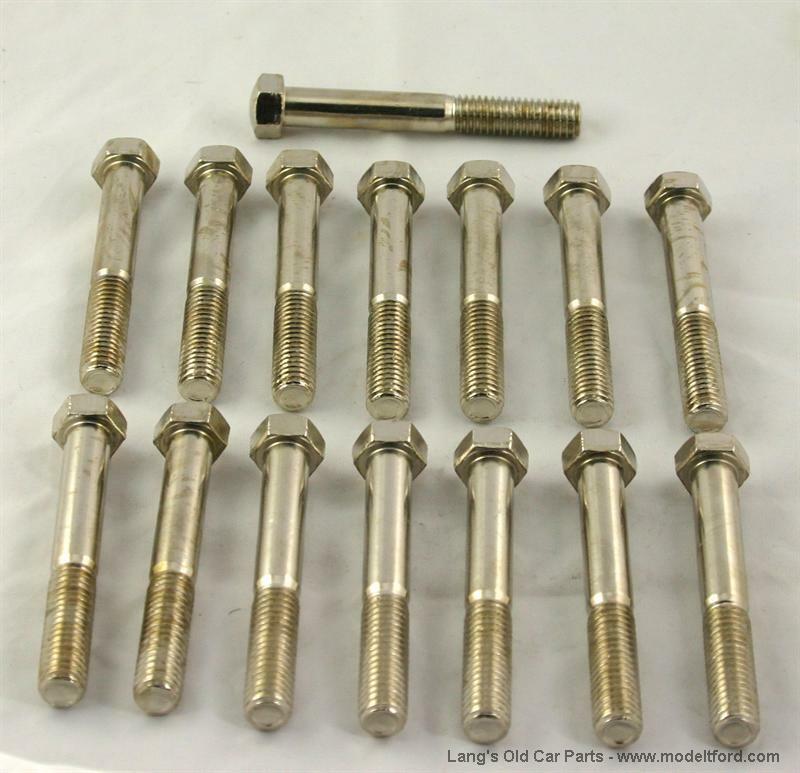 Set of 15 bolts.